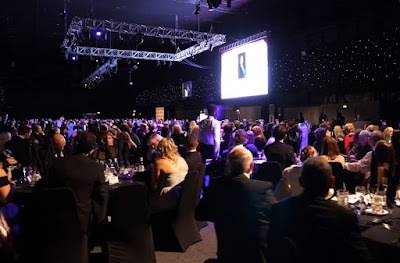 Businesses from across the South Yorkshire region will battle for honours at the Barnsley and Rotherham Business Awards ceremony, taking place on Friday, October 19 at Magna in Rotherham. This year 55 applicants have been shortlisted for the 12 categories on offer, the winners will be announced at the ceremony. In addition to this, the Chamber of Commerce Lifetime Achievement Award recipient will be announced on the evening, all applicants are welcome to attend. The shortlisted applicants in all business award categories have been automatically entered into the much sought-after Business of the Year Award, sponsored by Gibson Booth Business Solutions & Insolvency, which will recognise one outstanding organisation across all aspects of business. Chief Executive of Barnsley & Rotherham Chamber of Commerce, Andrew Denniff said, "We'd like thank everyone who submitted an application this year, the standard was once again particularly high, and the judges were faced with some very difficult decisions. Everyone who has secured a place on the shortlist should be proud of their achievements over the past twelve months. "We look forward to welcoming all the finalists to our celebration evening which takes place at Magna in October." *In three of the award categories the judges felt that only the listed companies met the criteria. All shortlisted companies submitted entries of very high calibre.